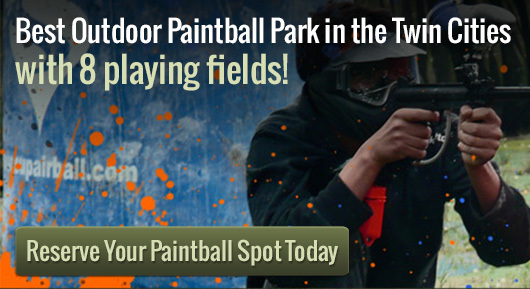 Local paintball fields like Action Packed are a great place to have fun with friends and family. People from all over Minneapolis are starting to get in to setting up paintball competitions in their area. If you haven’t ever tried out paintball before, you might be wondering of the local paintball fields is the best to start. You may want to talk to Action Packed Paintball Games, which is rapidly becoming the premier location for events in the Minneapolis metro area. There are a number of reasons why this is the top spot, but most people simply appreciate the friendly staff that they have here. First, you may be interested in working to set up a competitive event between yourself and your friends. We have set up a number of scenarios in the area, each of which will challenge your abilities. They have a forested area, which can simulate jungle combat situations. The park also has a number of standardized arenas, with obstacles and city simulations that will also test teams who decide to play here. If you haven’t ever tried to play paintball competitively, you may want to start at local paintball fields at Action Packed. You can often walk on to competitions as an individual, especially if they are looking for someone to even out the teams. Some people will be interested in training a new player, so be sure to try to meet some of the players that you see. Finally, you might want to buy some of your equipment and accessories when you stop by here as well. The knowledgeable staff can show you what you might be able to buy from their shop. They also offer paintball refills and CO2 refills for just a nominal fee. If you haven’t ever thought about trying this hobby out at local paintball fields, you will be impressed by the customer service that you can find here at Action Packed Paintball Games.